A CHARITY WORKING in the area of food poverty has asked the Minister for Social Protection to consider raising income supports for people with older children so they can afford to feed them healthy food and enough of it. A number of NGOs attended a pre-Budget forum yesterday to tell the Minister what they think should be prioritised in October. Sinead Keegan, project co-ordinator at Healthy Food For All, said her charity would be asking the Minister to be “conscious of the cost of healthy diet for people living on a low income”. “Children – especially teenage children – have greater nutritional costs, like having another adult in the house. If you have a teenage boy in the house, ask any parent, you can’t fill them, you have to pack them full of food,” she explained. If parents are struggling to pay their bills, their rent, electricity and other costs of living, when there’s pressure on the family home from week to week, the first item that we find is going is food. People make savings, so they either buy less food or lower quality food. She said the charity was looking for recognition in child income supports that there are higher costs for teenage children and that this would be reflected. Keenan also said the organisation would be looking for increased support for breakfast clubs at schools. She said a pilot programme in Dublin had some very positive results. “Children are trying different foods, children who were coming in late are now on time, the kids are in better form, they’re behaving better and are more attentive in class,” she said. Minister Burton, who was named leader of the Labour Party yesterday afternoon, said at the forum that now recovery is underway, “we have entered a new phase, and must place an equal emphasis on social repair, ensuring the recovery is felt in every person’s life and in every community across the country”. 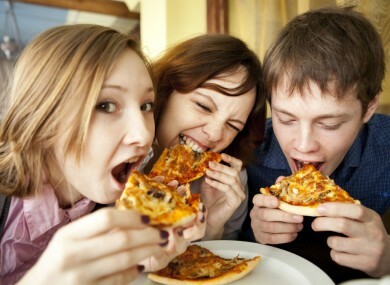 Do you think the government should give low income families with teens extra money to feed them? Email “Should families with teens be given more money to feed them? ”. Feedback on “Should families with teens be given more money to feed them? ”.